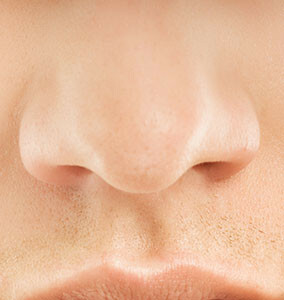 As a prominent feature, the nose is a focal point creating balance and symmetry on the face. Rhinoplasty works to reshape the nose to restore and redefine balance, creating harmony to one of the most noticeable body features. Surgery can also help correct any breathing issues that may have arisen from structural defects in the nose. Since the nose is such an important and prominent feature on the face, it is important to have a clear understanding of how the reshape should look. Dr. Harris works with patients to determine the best shape within the limitations of the surgery. The procedure is performed as a day surgery under a general anesthetic in our fully accredited facility. Rhinoplasty is often performed alongside mentoplasty (chin implant) to create balance of the facial profile.